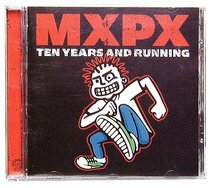 For 10 years, MxPx have reached the general market with their awesome music. This CD includes all your favourites: 'Chick Magnet', 'Move to Bremerton', 'Teenage politics', 'Punk Rock Show' and more! About "Ten Years and Running"